Born 1938 in Hampton County, South Carolina, Vertamae Smart Grosvenor is among many titles, culinary anthropologist, NPR correspondent, and author. From low country South Carolina, she is perhaps best known for her food memoir Vibration Cooking, also known as The Travel Notes of a Geechee Girl (1970) http://www.abaa.org/books/33044511.html. 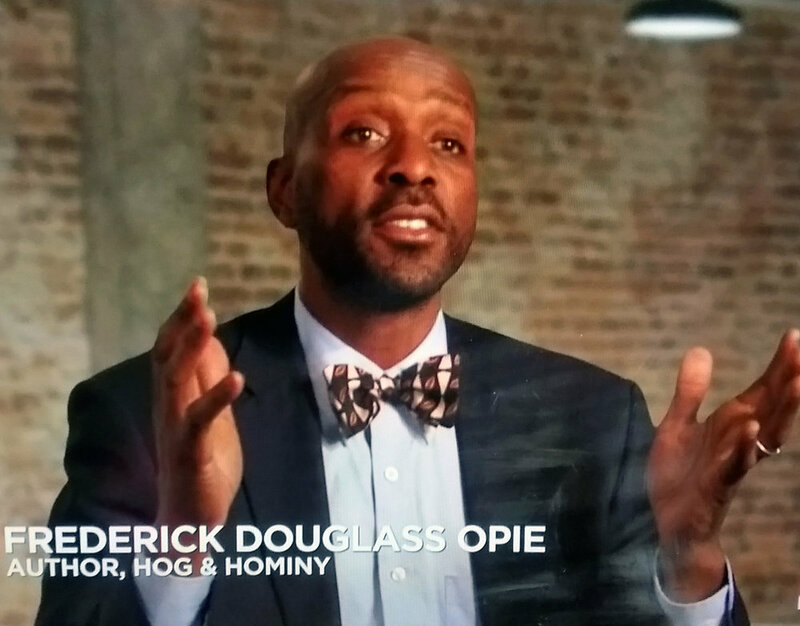 I talk about her in my book Hog and Hominy: Soul Food from Africa to America http://cup.columbia.edu/book/978-0-231-14638-8/hog-and-hominy. In the 1960s she lived in Harlem where she, among other activities, cooked “neck bones, chicken feet stew, biscuits, greens, and grits” and “batches of fried chicken and potato salad” for Student Nonviolent Coordinating Committee (SNCC) fundraisers. She and her SNCC colleagues served the food at parties where supporters enjoyed her delicious low country food and the soulful music of James Brown, Aretha Franklin, Marvin Gay, and other noted artist of that era. Like Montgomery’s Georgia Gilmore, and the Paschal brothers of Atlanta, Grosvenor played an important part in feeding the civil rights revolution of the 1960s. Here’s a buttermilk biscuit recipe reflected her contribution to advances the cause of SNCC and ending Jim Crow policies across the country. Preheat the oven to 425; spray cook sheet or cast iron skillet with non-stick spray; combine dry ingredients except for the 1 cup flour for shaping the dough; stir in buttermilk and cream and let stand for 2-3 minutes. Flour your hands and softly shape your biscuits. If you’re rushing, use an ice-cream scooper. Place the biscuits tightly against each other on wax paper so they will rise up instead of out. Sprinkle with flour then place then on the sprayed surface for baking. Bake for about 15 to 20 minutes or until golden brown. Remove from oven and brush with the melted butter and serve.